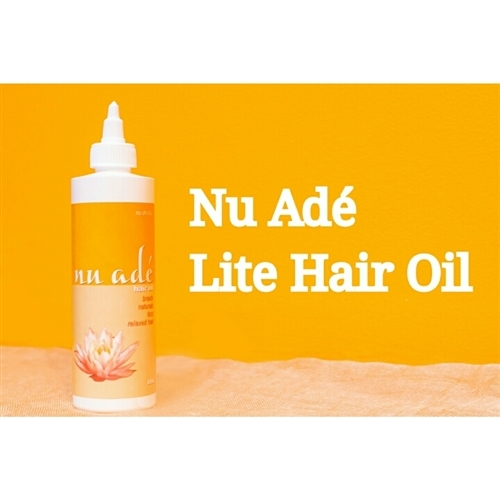 Nu Ade Lite Hair Oil is designed to nourish the scalp and hair shaft retaining moisture in time of need. 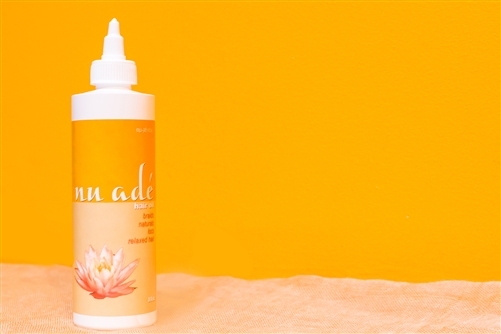 It’s very light consistency is recommended for use with fine natural and relaxed textures as well braid/twist/ loc styles. 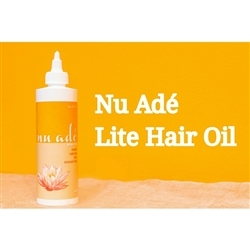 The light hair oil works as a natural heat protectant and finishing styling aid. Directions for use: Apply oil to scalp and hair, then massage style or detangle accordingly.